Ever the innovator, ace American professional Bryson DeChambeau has suddenly found himself the subject of an investigation. And what’s more, DeChambeau has been using a compass for a couple of years to help his calculations on the greens. Someone must have questioned it with authorities because the Memorial Tournament winner has been told his device is being “investigated” and the powers that be are looking into the legalities of his compass use. 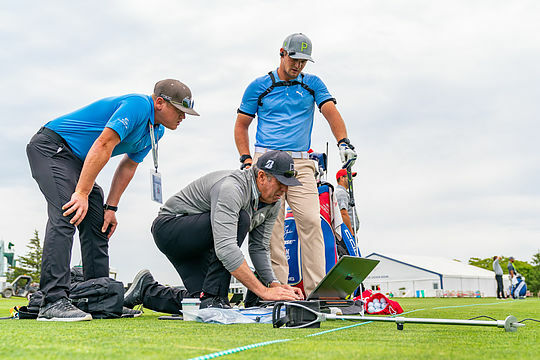 “They said we just want to let you know we’re investigating this device and seeing if it’s allowable or not,” DeChambeau explained. “[I’m] figuring out true pin locations,” he said. The amazing part about all this is that DeChambeau has actually been using a compass to check such things since 2016. While he likes to do things a bit differently from the average pro, DeChambeau now finds himself waiting for a ruling from the tour as to whether its an allowable device and he’s allowed to continue using it or not. Let’s hope sanity prevails and one of the Tour’s real characters can continue to play the game ‘his way’.